Azure Location Based Services has a new name – Azure Maps! As of today, I’m thrilled to announce Azure Maps’ are offered for general availability (GA). Azure Maps applications from our early adopter customers span across every vertical and run the gamut from map integration to complex route optimization applications. Fathym WeatherCloud showed us how they use Azure Maps as a map canvas to overlay weather information to visually represent weather movement over time. Cubic Telecom demonstrated how they used the Azure Map Control to spatially reference charging stations on a map and using Azure Maps’ Route Service to determine the best location along a route to recharge a vehicle. In this first release, Azure Maps will provide the same capabilities offered at public preview with a few modifications and additions. With the Search Service, customers can find addresses and places from around the world. Azure Maps supports address level geocoding in 38 regions, cascading to house numbers, street-level, and city level geocoding for other regions of the world. Customers can pass addresses into the service based on a structured address form. Customers can also use an unstructured form when they want to allow for their customers to search for addresses, places, or business in a single query. Users can restrict their searches by region or bounding box and can query for a specific coordinate to influence the search results to improve quality. Alternatively, given a coordinate, say from a GPS receiver, customers can get the nearest address or cross street returned from the service. The Azure Maps Search Service also allows customers to query for business listings. The Search Service contains hundreds of categories and hundreds of sub-categories for finding businesses or points of interest around a specific point or within a bounding area. Customers can query for businesses based on brand name or general category and filter those results based on location, bounding box, or region. What’s new for general availability in the Azure Maps Search Service? For general availability, we’ve added Geometry Search, Nearby Search, and Search Along Route. The Geometry Search Service allows a user to search within a given geometry or multiple geometries.​ Users can find results for a POI within a given set of boundaries which is helpful when a developer wants to search within a given city, neighborhood, or radius of a user. The Nearby Search service is similar to the geometry search in that it lets a developer specify a point and radius in order to search for a POI that is “nearby” the specified point.​ This is a slightly simpler version of geometry search but the benefit is that it enables developers to search for a POI that is “near” the current location of a user. The Find Along Route Search lets a developer find points of interest along a specified route. 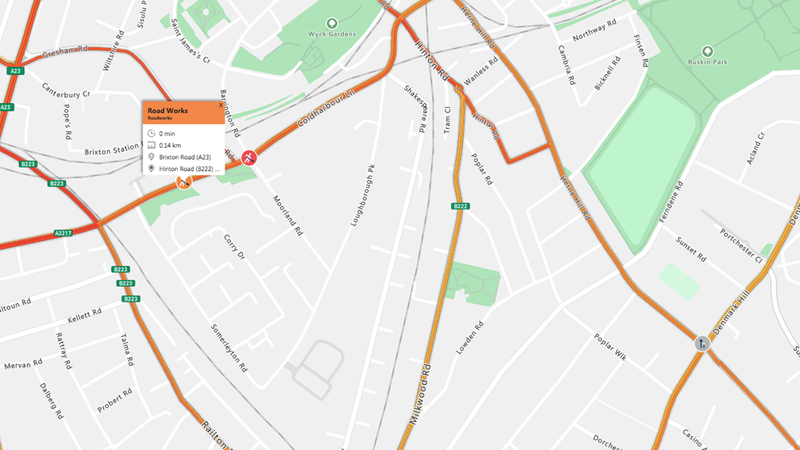 The service will return a set of POIs based on the route and takes the route/road information into consideration. For example, if there is a gas station just a quarter of a mile away from a point on the freeway but the nearest exit is 5 miles away and requires back tracking, that gas station would not be included in the response.​ This helps customers identify a series of valid POIs based on a route rather than simply geospatial proximity. The Azure Maps Routing Service is used for getting directions, but not just point A to point B directions. The Azure Maps Routing Service has a slew of map data available to the routing engine allowing it to modify the calculated directions based on a variety of scenarios. First, the Routing Service provides customers the standard routing capabilities they would expect with a step-by-step itinerary. The route calculation can be optimized for fastest, shortest, or avoidance of highly congested roads or traffic incidents. For traffic-based routing, this comes in two flavors, “historic” which is great for future route planning scenarios when users would like to have a general idea of what traffic tends to look like on a given route, and “live” which is ideal for active routing scenarios when a user is leaving now and wants to know where traffic exists and the best ways to avoid it. The Routing Service also provides a variety of travel modes, including walking, biking, motorcycling, taxiing, or van routing. Customers can also specify up to 50 waypoints along their route if they have pre-determined stops to make. 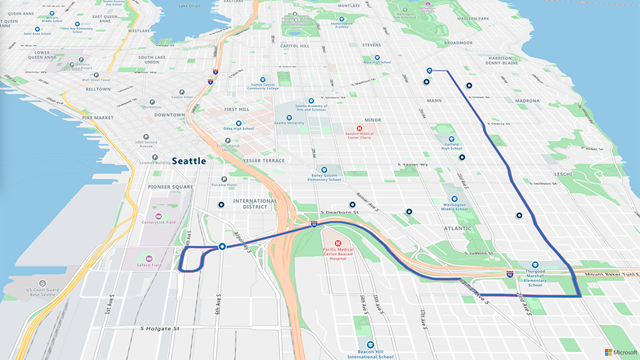 If customers are looking for the best order in which to stop along their route, they can also have Azure Maps determine the best order in which to route to multiple stops. Simple pass up to 20 waypoints into the Routing Service and an itinerary will be generated for them. Using the Azure Maps Route Service, customers can also specify arrival times when they need to be at a specific location by a certain time. Using the massive amount of traffic data, almost a decade of probes captured per geometry and high frequency intervals, Azure Maps can let customers know for a given day of the week and time, when the best time is for departure. Additionally, Azure Maps can use current traffic conditions to notify customers of a road change that may impact their route and provide updated times and/or alternate routes. Azure Maps can also take into considering the engine type being used. By default, Azure Maps assumes a combustion engine is being used. However, if an electrical engine is in use Azure Maps will accept input parameters for power settings and generate the most energy efficient route. The Routing Service provides for multiple, alternate routes to be generated in a single query. This provides additional routes that may not be considered "the best” given current conditions, however, these alternate routes could be preferred by the end user. Customers can also specify that they would like to avoid specific route types such as toll roads, freeways, ferries, or carpool roads. 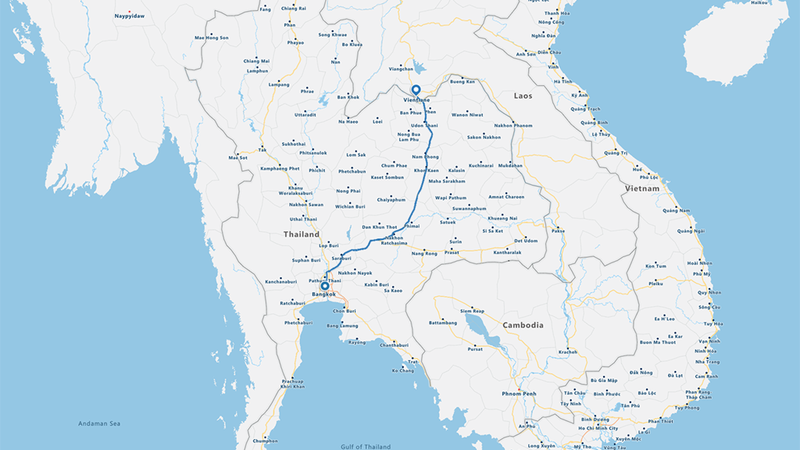 The Azure Maps Render Service is used for fetching maps. The Render Service is the basis for maps in Azure Maps and powers the visualizations in the Azure Map Control. Users can request vector-based map tiles to render data and apply styling on the client. The Render Service also provides raster maps if you want to embed a map image into a web page or application. Azure’s maps have high fidelity geographic information for over 200 regions around the world and are available in 35 languages and two versions of neutral ground truth. The Azure Maps cartography was designed from the ground up and created with the enterprise customer in mind. There are lower amounts of information at lower levels of delineation (zooming out) and higher fidelity information as you zoom in. The design is meant to inspire enterprise customers to render their data atop of Azure Maps without additional detail bleeding through disrupting the value of customer data. What’s new for general availability in the Azure Maps Render Service? 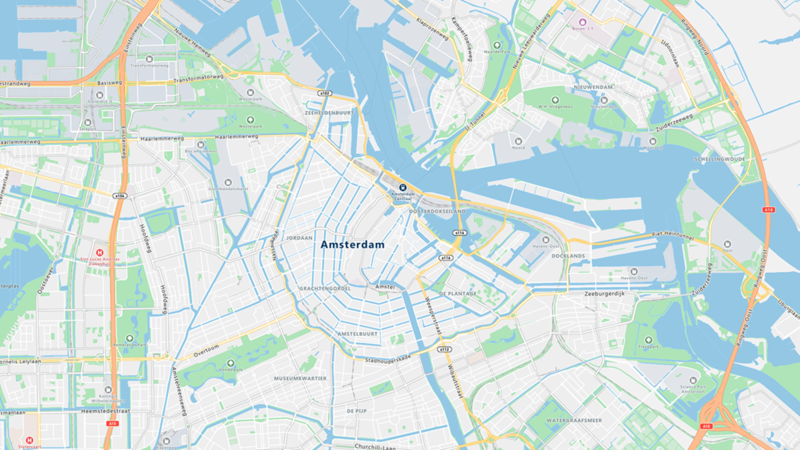 For general availability, we’ve introduced a new static image API to generate embeddable map images using Azure Maps’ branded design. The Azure Maps Time Zone Service is a first of it’s kind providing the ability to query time zones and time for locations around the world. Customers can now submit a location to Azure Maps and receive the respective time zone, the respective time in that time zone, and the offset to Coordinated Universal Time (UTC). The Time Zone Service provides access to historical and future time zone information including changes for daylight savings. Additionally, customers can query for a list of all the time zones and the current version of the data – allowing customers to optimize their queries and downloads. For IoT customers, the Azure Maps Time Zone Service allows for POSIX output, so users can download information to their respective devices that only infrequently access the Internet. Additionally, for Microsoft Windows users, Azure Maps can transform Windows time zone IDs to IANA time zone IDs. What’s new for general availability in the Azure Maps Time Zone Service? For general availability, we’ve added localized time zone names for up to 49 languages. This will allow you to fetch the time zone names in multiple languages. The Azure Maps Traffic Service provides our customers with the ability to overlay and query traffic flow and incident information. In partnership with TomTom, Azure Maps will have access to a best in class traffic product with coverage in 55 regions around the world. The Traffic Service provides the ability to natively overlay traffic information atop of the Azure Map Control for a quick and easy means of viewing traffic issues. Additionally, customers have access to traffic incident information, real time issues happening on the road and collected through probe information on the roads. 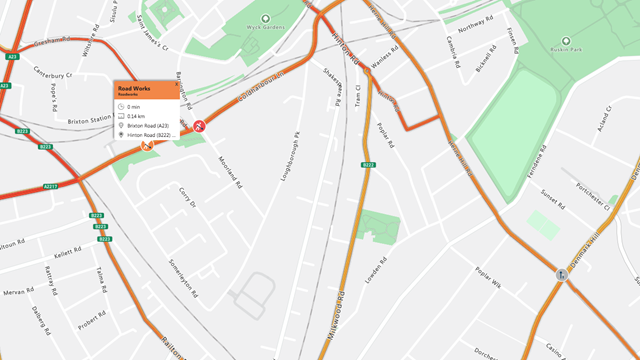 The traffic incident information provides additional detail such as the type of incident and the exact location. The Traffic Service will also provide our customers with details of incidents and flow such as the distance and time from one’s current position to the “back of the line,” and once a user is in the traffic congestion the distance and time until they’re out of it. For general availability, we’ve added native accessibility functionality making the map control more user friendly. 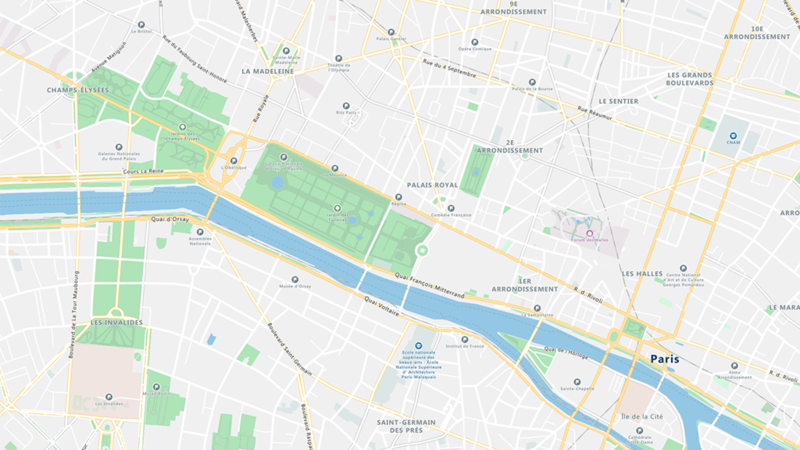 The map control will now use a native narrator functionality to let users know a map application exists on a web page, when a map container is identified, and where the map viewport is centered. Azure Maps are now generally available. You can learn more about Azure Maps on our product page. Read the developer documentation or go to Azure portal to create your account today!